Burnley Football Club (/ˈbɜːrnli/) is a professional association football club based in Burnley, Lancashire, England. Founded on 18 May 1882, the team originally played only friendly matches until they entered the FA Cup for the first time in 1885–86. The club currently plays in the Premier League, the first tier of English football. Nicknamed the Clarets, due to the dominant colour of their home shirts, they were one of the twelve founding members of the Football League in 1888. The club's emblem is based on the town's crest, with a Latin motto Pretiumque et Causa Laboris ("The Prize and the Cause of Our Labour"). Burnley have been champions of England twice, in 1920–21 and 1959–60, have won the FA Cup once, in 1914, and have won the Community Shield twice, in 1960 and 1973. The Clarets also reached the 1961 quarter-finals of the European Cup. They are one of only five teams to have won all top four professional divisions of English football, along with Wolverhampton Wanderers, Preston North End, Sheffield United and Portsmouth. In the 1920–21 campaign, Burnley were crowned champions of England for the first time when they won the First Division. [A] During that season the team embarked on a 30-match unbeaten run, which remained an English record until it was beaten by Nottingham Forest in the late 1970s. Burnley attained a second league championship in 1959–60 with a team consisting of mostly youth academy graduates, winning the title with a last-day victory over Manchester City, after foundations were laid by pioneers Alan Brown, Bob Lord and Harry Potts. Just twenty years later, in 1979–80, Burnley were relegated to the Third Division — the first time in their history they had played in the third tier of English football. Five years later, the team competed in the Fourth Division for the first time following another relegation, and on 9 May 1987 only a 2–1 home win against Orient saved Burnley from relegation to the Football Conference and a possible dissolution. Burnley won promotion in 1991–92 to the third tier and again in 1999–2000 to the second tier, before being promoted to the Premier League in 2008–09, 2013–14 and 2015–16. Burnley have played home games at Turf Moor since 17 February 1883, after the club had moved from their original premises at Calder Vale. The club colours of claret and blue were adopted prior to the 1910–11 season in tribute to the dominant club of English football at the time, Aston Villa. Their current manager, Sean Dyche, was appointed on 30 October 2012. On 18 May 1882, Burnley Rovers Football Club decided to shift their allegiance from rugby union to football. Playing in various green or blue and white kits for their first few years, the club played their first competitive game in October 1882 against Astley Bridge in the Lancashire Challenge Cup, that game ending in an 8–0 defeat. In the early months of 1883 the club moved to Turf Moor and remain there, only their Lancashire rivals Preston North End having continuously occupied the same ground for longer. Burnley first appeared in the FA Cup in 1885–86, but were ignominiously beaten 11–0 when eligibility restrictions meant that their reserve side had to be fielded against Darwen Old Wanderers. A year later, on 13 October 1886, Turf Moor became the first ground to be visited by a member of the Royal Family. When it was decided to found the Football League for the 1888–89 season, Burnley were among the twelve founders of that competition, and one of the six clubs based in Lancashire. Burnley's William Tait became the first player to score a hat-trick in league football in only the second match of the inaugural season, when his three goals gave the Clarets an away win to Bolton Wanderers. Burnley, now known as 'The Turfites', 'Moorites' or 'Royalites' as a result of the name of their new ground and the royal connection, eventually finished 9th in the first season of the league, but only one place from bottom in 1889–90, following a 17-game winless streak at the start of the season. That season did, however, present Burnley with their first honours, winning the Lancashire Cup with a 2–0 final victory over local rivals Blackburn Rovers. Before Burnley won a trophy again, they were relegated to the Second Division for the first time in 1896–97. They responded to this by winning promotion the next season, losing only two of their 30 matches along the way before gaining promotion through a play-off series, then known as test matches. Burnley and First Division club Stoke City both entered the last match, to be played between the two teams, needing a draw for promotion (or in Stoke's case to retain their First Division place). A 0–0 draw ensued, reportedly "The match without a shot at goal", and the league immediately withdrew the test match system in favour of automatic promotion and relegation. Ironically, the league also decided to expand the top division after the test match series of 1897–98 and the other two teams also went into the top division for the following year, negating the effect of Burnley and Stoke City's reputed collusion. Burnley were relegated again in 1899–1900 and found themselves at the centre of a controversy when their goalkeeper, Jack Hillman attempted to bribe their opponents, Nottingham Forest, in the last match of the season, resulting in his suspension for the whole of the following season. It was the earliest recorded case of match fixing in football. During the first decade of the 20th century, Burnley continued to play in the Second Division, even finishing in bottom place in one season, although the indications of success just around the corner were evident. Burnley changed their colours from green to the claret and sky blue of Aston Villa, the most successful club in England at the time, for the 1910–11 season, as manager John Haworth believed it might bring a change of fortune. The tides did indeed turn the following season, when only a loss in the last game of the season denied the club promotion. King George V presents the 1914 FA Cup trophy to Burnley captain Tommy Boyle. The team photograph of the Championship-winning side in the 1920–21 season. Burnley continued to improve, as the 1912–13 season saw them win promotion to the First Division once more, as well as reaching the FA Cup semi-final, only to lose to Sunderland. The next season was one of consolidation in the top flight, but more importantly their first major honour, the FA Cup, was won, against fellow Lancastrians Liverpool in the final (1–0). Ex-Evertonian Bert Freeman, whose father travelled from Australia to see his son play in the final, scored the only goal, as Burnley became the first club to beat five First Division clubs in one cup season. This was the last final to be played at Crystal Palace and King George V became the first reigning monarch to present the cup to the winning captain, in this case to Tommy Boyle. The winning Burnley team also got special medals with "English Cup Winners" written on it instead of the usual "FA Cup Winners" inscription. World War I impacted the 1914–15 season, in which Burnley finished 4th in the First Division, before English football reorganised itself and took a back seat to the needs of the conflict. Upon resumption of full-time football in 1919–20, Burnley finished second in the First Division to West Bromwich Albion, but this was not a peak, merely presaging Burnley's first ever League Championship in 1920–21. Burnley lost their opening three matches that season before going on a 30-match unbeaten run, a record for unbeaten games in a single season that lasted until Arsenal went unbeaten through the whole of the 2003–04 season. Burnley finished third the following season, but thereafter followed a steady deterioration of their position, with only 5th place in 1926–27 offering respite from a series of near-relegations which culminated in demotion in 1929–30. Burnley struggled in English football's second tier, narrowly avoiding a further relegation in 1931–32 by only two points. The years through to the outbreak of the Second World War were characterised by uninspiring league finishes, broken only by a FA Cup semi-final appearance in 1934–35 and the arrival (and equally swift departure) of English Football Hall of Fame inductee and centre-forward Tommy Lawton. Burnley participated in the varying football leagues that continued throughout the war, but it wasn't until the 1946–47 season that league football proper was restored. In the first season of post-war league football, Burnley gained promotion through second place in the Second Division. Additionally, there was a run to the FA Cup Final, with Aston Villa, Coventry City, Luton Town, Middlesbrough and Liverpool being defeated before Charlton Athletic beat Burnley 1–0 after extra time in the final at Wembley. Burnley immediately made an impact the top division, finishing third in 1947–48 as the club began to assemble a team capable of regularly aiming for honours. From the 1950s to the early 1970s under the reign of lifelong Burnley supporter and newly appointed chairman Bob Lord, the club became one of the most progressive around. They were one of the first teams to build a training ground, while most teams trained on public parks or at their own grounds. Further, the club became, after foundations were laid by Lord and manager Alan Brown, renowned for their youth policy and scouting system, which yielded many young players over the years such as club legends Jimmy McIlroy, Willie Morgan and Martin Dobson. In his relatively short spell at the club from 1954 to 1957, Brown also introduced short corners and a huge array of free kick routines, which were soon copied across the land. In the 1956–57 season, Ian Lawson, another product of the Burnley youth academy, scored a record four goals on his debut as a 17-year-old versus Chesterfield in the FA Cup. That same season saw a club record 9–0 victory over New Brighton in the FA Cup — despite missing a penalty — and the following season former player Harry Potts became manager. The team of this period revolved around the midfield duo of Jimmy Adamson and Jimmy McIlroy (a new stand was named after the latter in the 1990s) and these two were key to the championship-winning team of 1959–60 managed by Potts (who now gives his name to the road which Turf Moor occupies). Harry Potts often employed the, at the time unfashionable, 4–4–2 formation and he introduced Total Football to English football in his first seasons at the club. Burnley endured a tense 1959–60 season in which Tottenham Hotspur and Wolverhampton Wanderers were the other protagonists in the chase for the league title, but the club ultimately clinched their second league championship on the last day of the season at Maine Road, Manchester with a 2–1 victory against Manchester City with goals from Brian Pilkington and Trevor Meredith. Although they had been in contention all season, Burnley had never led the table until this last match was played out. Potts had only used eighteen players throughout the whole season, as John Connelly became Burnley's top scorer with 20 goals. The Lancastrians' title-winning squad costed just £13,000 in transfer fees too — £8,000 on McIlroy in 1950 and £5,000 on left-back Alex Elder in 1959. The other players of the squad each came from the Burnley youth academy. After the season finished, Burnley went to the United States to participate in the inaugural international football tournament in North America, the International Soccer League. The following season Burnley played in European competition for the first time, beating former European Cup finalists Reims, before losing to Hamburger SV in the quarter-finals, losing in a FA Cup semi-final to Tottenham and finishing fourth in the league. Burnley finished the 1961–62 season as runners-up (after only winning two of the last thirteen league matches) to newly promoted Ipswich Town and had a run to the FA Cup Final, where a Jimmy Robson goal, the 100th FA Cup Final goal at Wembley, was their only reply to 3 goals from Spurs. Jimmy Adamson was, however, named Footballer of the Year in English football after the season ended. Burnley had, due to their success, several players with international caps in this period, including, for England Ray Pointer (3 caps), Colin McDonald (8 caps), and John Connelly (20 caps), a member of the 1966 World Cup squad, for Northern Ireland Jimmy McIlroy (55 caps) and for Scotland Adam Blacklaw (3 caps). Nonetheless, although far from a two-man team, the controversial departure of McIlroy to Stoke City and retirement of Adamson coincided with a decline in fortunes. Adamson reputedly turned down the England manager's post which then went to former Ipswich manager Alf Ramsey. Even more damaging for Burnley was the impact of the abolition of the maximum wage in 1961, meaning clubs from small towns, e.g. Burnley, could no longer compete financially with teams from bigger towns and cities. They managed, however, to retain their First Division place throughout the decade finishing third in 1965–66, with Willie Irvine becoming the league's top goal scorer that season, and reaching the semi-final of the League Cup in 1968–69. They had also reached the quarter-finals of the 1966–67 Fairs Cup, in which they were knocked out by German side Eintracht Frankfurt. The remainder of the decade was otherwise one of mid-table mediocrity, with Potts being replaced by Adamson as manager in 1970 after a 12-year spell. Adamson was unable to halt the slide and relegation followed in 1970–71 ending a long unbroken top flight spell of 24 consecutive seasons during which, more often than not, they had been in the upper reaches of the league table. Burnley won the Second Division title in 1972–73 with Adamson still in charge. As a result, they were invited to play in the 1973 FA Charity Shield where they emerged as winners against the reigning holders of the shield, Manchester City. In the First Division, led by elegant playmaker Martin Dobson, the side managed to finish 6th in 1974 as well as reaching another FA Cup semi-final; this time losing out to Newcastle United. The following season the club achieved 10th place, despite Dobson being sold to Everton early in that season, but were victims of one of the great FA Cup shocks of all time when Wimbledon, then in the Southern League, beat Burnley 1–0 at Turf Moor. Relegation from the First Division in 1975–76 saw the end of Adamson's tenure as manager. Graph showing Burnley's performance from the inaugural season of the Football League in 1888–89 to the present. Three nondescript seasons in the Second Division followed before relegation to the Third Division for the first time in 1979–80. Of 42 league games, Burnley could not manage a win in either their first or last 16. Two seasons later, now under the management of Brian Miller, they were promoted as champions. However, this return was short-lived, lasting only one year; albeit a year in which the team reached the quarter-finals of the FA Cup and the semi-final of the League Cup, recording victories over Spurs and Liverpool in the latter, although the 1–0 win over Liverpool in the League Cup semi-final second leg was not enough for an appearance in the final as Burnley had lost the first leg 3–0. Managerial changes continued to be made in an unsuccessful search for success; Miller was replaced by Frank Casper in early 1983, he by John Bond before the 1983–84 season and Bond himself by John Benson a season later. Benson was in charge when Burnley were relegated to the fourth level of English football for the first time ever at the end of the 1984–85 season. Martin Buchan (briefly) and then Tommy Cavanagh saw the side through the 1985–86 season before Miller returned for the 1986–87 season, the last match of which is known as 'The Orient Game'. For the 1986–87 season, the Football League had decided to introduce automatic relegation and promotion between the Fourth Division and the Conference league, the top tier of non-league football. Although, in retrospect, this has only served to blur the lines between professional and semi-professional leagues in England, at the time it was perceived that teams losing league status might never recover from this. Additionally, Burnley had a new local rival in Colne Dynamoes who were rapidly progressing through the English non-league system at the same time as the former champions of England were in the lowest level of the league. After a disastrous season, which also saw a first round FA Cup 3–0 defeat at non-league Telford United, Burnley went into the last match needing a win against Orient. A 2–1 win, with goals from Neil Grewcock and Ian Britton, was enough to keep Burnley in Division Four, although even that achievement still relied on a loss by Lincoln City in their last game of the season. Had Burnley been relegated, the club would have probably been dissolved. In May 1988, Burnley were back at Wembley; this time to play Wolves in the final of the Football League Trophy. A capacity crowd of 80,000 people packed Wembley was a record for a match between two teams from English football's fourth tier, as Wolves won 2–0. In 1991–92, Burnley were champions in the last ever season of the Fourth Division before the league reorganisation. By winning the Fourth Division title, the Clarets became only the second club to have won all top four professional divisions of English football and the team is currently one of five clubs to have achieved this feat, along with Wolverhampton Wanderers, Preston North End, Sheffield United and Portsmouth. Two years later they won the new Division Two play-offs and gained promotion to Division One under Jimmy Mullen. That too was as a result of a match at Wembley, this time after a fierce battle against local club Stockport County. Relegation followed after one season and in 1997–98 only a last day 2–1 victory over Plymouth Argyle ensured a narrow escape from relegation into Division Three. Chris Waddle was manager in that season, but his departure and the appointment of Stan Ternent that summer saw the club start to make further progress. In 1999–2000 they finished Division Two runners-up and gained promotion back to the second tier. The 2009 Football League Championship play-off Final line-up that defeated Sheffield United 1–0 at Wembley Stadium. Burnley immediately made an impact, as during the 2000–01 and 2001–02 seasons, they emerged as serious contenders for a promotion play-off place. By 2002–03, the side's form had declined despite a good FA Cup run, where they reached the quarter-finals. This was repeated the following season and in June 2004, Ternent's six years as manager came to an end, narrowly avoiding relegation in his last season. Steve Cotterill was then appointed as manager of the club. Cotterill's first year in charge produced two notable cup runs, knocking out Premier League clubs Liverpool and Aston Villa, and a 13th-place finish in the Championship. He was not able to improve on this the following season, as Burnley finished 17th. Wade Elliott's goal earned Burnley a 1–0 victory over Sheffield United in the Championship play-off Final, which resulted in the Clarets reaching the highest level of English football for the first time in 33 years. Burnley made a good start to the 2006–07 campaign, but their form tailed away badly shortly before Christmas, leaving them threatened by relegation. The squad set a club record for consecutive league games without a win, with their game against Luton Town being the 18th one of the season (19 including a cup game), meaning they had gone one fixture further than the 17 league game streak of the 1889–90 season. The sequence of draws and losses was finally broken in April, as Burnley beat Plymouth Argyle 4–0 at Turf Moor. After that, a short run of good form in the final weeks of the competition saw Burnley finish comfortably above the relegation places, ensuring that they remained in the Championship. The following season Burnley's poor early-season results led to the departure of manager Steve Cotterill in November 2007. His replacement was St Johnstone manager Owen Coyle. Coyle subsequently led the team to a total of 62 points for the 2007–08 season, their largest total for eight years. Coyle's first full season in charge ended with the Clarets' highest league finish since 1976, fifth in the Championship. That was enough to qualify the club for the Championship play-offs. Burnley beat Reading 3–0 on aggregate in the semi-final, and the team went on to beat Sheffield United 1–0 in the final at Wembley Stadium, promoting Burnley to the Premier League, a return to the top flight after 33 years. Wade Elliott scored the vital goal in a match known as "The £50,000,000 final", due to the increased revenues available to Premiership clubs after the agreement of substantially higher TV rights payments. Furthermore, Burnley reached the semi-final of the League Cup for the first time in over 25 years, after beating local clubs Bury and Oldham Athletic and London-based clubs Fulham, Chelsea and Arsenal. In the semi-finals they faced another London club and an old foe, Tottenham Hotspur, and Burnley lost the first leg 4–1. After being up by three goals to nil at home after 90 minutes, the away goals rule comes into play after extra time has been played in the League Cup, the Clarets crashed out after two Spurs goals in the last two minutes of extra time, preventing two Wembley appearances in one season. Burnley's promotion made the town of Burnley the smallest to host a Premier League club, since the rebranding of the league divisions in 1992. They started the season well, becoming the first newly promoted team in the Premier League to win their first four league home games, including a 1–0 win over defending champions Manchester United. However, manager Coyle left Burnley in January 2010, to manage local rivals Bolton Wanderers. He was replaced by Brian Laws, but the club's form plummeted under the new manager, and they were relegated after a single season in the Premier League. Laws was dismissed in December 2010 and replaced by Bournemouth manager Eddie Howe. Howe guided Burnley to an eighth-place finish in the Championship in his first season at the club, narrowly missing out on a play-off place. Nonetheless, he left the club in October 2012 to rejoin his hometown club Bournemouth; Howe citing personal reasons for the move. He was replaced in the same month by Watford manager Sean Dyche. Manager Sean Dyche, who was appointed in October 2012. Before the start of the 2013–14 season, Burnley were tipped as one of the relegation candidates, as Dyche had to work with a tight budget and a small squad, and they had lost top goal scorer Charlie Austin to Championship rivals QPR. They finished, however, second and were automatically promoted back to the Premier League in Dyche's first full season in charge, as the new strike partnership of Danny Ings (who also won the Championship Player of the Year award) and Sam Vokes had 41 league goals between them. Sean Dyche only used 23 players throughout the season, which was the joint-lowest in the division, and he only paid a transfer fee for one player since his appointment — £400,000 on striker Ashley Barnes. But yet again, their stay in the Premier League only lasted a single season as they finished 19th out of 20 clubs and were subsequently relegated. Burnley went yet one better than their previous time in the Championship and won the division in 2015–16, equaling their club record of 93 points of 2013–14, ending the season with a run of 23 league games undefeated. Dyche used just 25 players during the season this time, and new signing Andre Gray finished as the league's top goal scorer with 25 goals. With a combination of excellent home form with poor away results, Burnley finished the 2016–17 season in 16th place, six points above the relegation zone, and were thus ensured to play consecutive seasons in the top flight for the first time since 1975–76. The following season started off with an away win to defending champions Chelsea (3–2). It was a start signal for a reversed away form, as Burnley finished the season with more points collected on the road than at home. Moreover, Burnley's home form continued to be strong too, drawing against eventual inexpugnable league champions and record breakers Manchester City (1–1). Burnley ultimately secured an unexpected 7th place at the end of the season, their highest league finish since 1973–74, and thus qualified for the 2018–19 UEFA Europa League, meaning they qualified for a competitive European competition for the first time in 51 years. Their European tour, however, already ended in August, as they crashed out in the play-offs against Greek side Olympiacos, after they had eliminated Scottish club Aberdeen and Turkish side İstanbul Başakşehir in the previous rounds. Tommy Boyle, who captained the Clarets during their 1913–14 FA Cup and 1920–21 First Division title wins, was chosen as one of the "Clarets' legends" by the club's supporters in 2015. The club has been represented by numerous high-profile players over the years, most notably Jimmy McIlroy and Jimmy Adamson, the latter earning the Footballer of the Year award in 1962, the first and to date only time a Burnley player has won this award. Four years later, Burnley youth graduate Willie Irvine became the First Division top goal scorer, also an unique feat in the club's history. Welshman Leighton James owns a club record too, as he is the only Burnley player to have been included in the PFA Team of the Year while playing in the first tier, when he was selected as a member of the 1974–75 squad. In total, 29 players have won full England caps during their time with the Clarets, Bob Kelly having won the most caps (11) and scoring the most goals (6) for the English national team. The English Football Hall of Fame, which is housed at the National Football Museum, in Manchester, currently contains five former Burnley players: Tommy Lawton, Jimmy McIlroy, and Mike Summerbee, Ian Wright and Paul Gascoigne; the latter three had, however, relatively short spells at the Clarets and were at the end of their playing careers. Three of these five players, Gascoigne, Lawton and McIlroy, also featured in a list entitled "The Football League 100 Legends", as Burnley's only representatives. The list was released by the Football League in 1998, to celebrate the 100th season of league football. Jimmy McIlroy was voted as PFA Fans' Favourite by Burnley fans in July 2007. 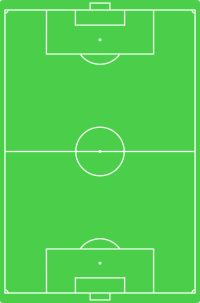 As voted by the club's supporters at the end of every season. The following table contains the managers who have all won at least one (major or minor) trophy when in charge of Burnley. Chairman Mike Garlick holds 49.24% of outstanding shares of Burnley F.C. and Member of the Board of Directors John Banaszkiewicz another 28.2%. The other five Members of the Board hold, between them, a total of 16.36%. The total holding of shares by all Board members amounts to 93.8%. Burnley is one of the few clubs in the top two tiers who are British-owned. Every director at the club is locally born, a Claret supporter and none of them are getting paid. As of 2018–19, the club is debt-free. In the early years, various designs and colours were used by Burnley. Throughout their first eight years these were various permutations of blue and white. After three years of claret and amber stripes with black shorts, for much of the 1890s a combination of black with amber stripes was used, although the club wore a shirt with pink and white stripes during the 1894–95 season. Between 1897 and 1900 the club used a plain red shirt and from 1900 until 1910 the club changed to an all green shirt with white shorts. In 1910 the club changed their colours to claret and sky blue, the colours that they have now had for the majority of their history, save for a spell in white shirts and black shorts during the 1930s. The adoption of the claret and sky blue colour combination were a homage to league champions Aston Villa, who wore those colours. The Burnley committee and manager John Haworth believed it might bring a change of fortune. Burnley's away kit for the 2006–07 season, a yellow shirt with claret bar, yellow shorts and yellow socks, won the Best Kit Design award at the Football League Awards. The following season, a new home kit was released, echoing the 1950s shirt; all claret with a blue v-neck and rims on the end of the arms which sport the word 'Burnley'. It featured gold trim and a new gold logo for the club's 125th anniversary. For the Championship match against Stoke City on 24 November 2007, Burnley wore a commemorative 125th anniversary shirt based on their first kit; blue and white stripes with black trim/shorts and white socks. For the 2009–10 season, the club wore a kit similar to the kit worn when Burnley won the old First Division title (i.e. what is now the Premier League title) in 1959–60, to commemorate the 50th anniversary of that achievement. Since 2010, Burnley's kits have been manufactured by Puma. Previous manufacturers include Umbro (1975–81), Spall (1981–87, 1988–89), En-s (1987–88), Ellgren (1989–91), Ribero (1991–93), Mitre (1993–96), Adidas (1996–99), Super League (1999–2002), TFG Sports (2002–05), and Erreà (2005–10). The clubs shirts are currently sponsored by LaBa360. Previous shirt sponsors include POCO (1982–83), TSB (1983–84), Multipart (1984–88), Endsleigh (1988–98), P3 Computers (1998–2000), Lanway (2001–04), Hunters (2004–07), Holland's (2007–09), Cooke (2009–10), Fun88 (2010–12, 2014–15), Premier Range (2012–14), Oak Furniture Land (2015–16), and Dafabet (2016–18). The Clarets' first recorded usage of a crest was on 17 December 1887, when they wore the Prince of Wales' coat of arms on their shirt. The Prince of Wales visited Turf Moor a year before when Burnley was playing Bolton Wanderers, which was the first ever visit by a member of the Royal Family. Afterwards, Burnley were presented a set of white jerseys featuring a blue sash and embellished with the Prince of Wales' coat of arms to commemorate the visit, making the Clarets the first ever club to have the right to wear it on their shirts. The club would regularly wear the royal crest until the 1894–95 season. Twenty years later, when Burnley played the 1914 FA Cup Final and King George V was in attendance, the Royal Arms featured once again on the claret and blue shirts. A forerunner of the club's current badge was first recorded in 1935. 25 years later, when Burnley won the league title for a second time, they were allowed to wear the town's crest of the period on their shirts. The town's crest was worn until the 1969–70 season, when it was replaced with a simple "BFC". Six years later, the initials were lettered with gold. Four seasons after that, the club used a new designed badge based on the town's crest, before returning to a horizontal version of the "BFC" initials in 1983, which were lettered in white this time. In the 1987–88 season they returned to their former, new designed crest. The latest major change to the club crest came in the 2009–10 season. To mark Burnley's first ever season in the Premier League, since the rebranding of the First Division in 1992, and to celebrate the 50th anniversary of the club's 1959–60 First Division league title win, Burnley decided to return to the crest used in that title winning season. The following season, the town's Latin motto "Pretiumque et Causa Laboris" (English translation: "The prize and the cause of our labour") was replaced with the inscription "Burnley Football Club". Burnley's current badge is based on the town's crest and many components of the badge — depicting cotton, history, industry, royalty — have their origins in the history of the club, the town Burnley and surrounding areas and the components thus refer to them. The club's mascot is Bertie Bee. Dressed in a bee suit, he wears the Burnley home kit with shirt number 1882 and is popular with the Burnley fans. He became known nationwide for rugby tackling a streaker on the pitch at Turf Moor who had evaded the stewards during a match against local rivals Preston in 2002, and appeared on the BBC Television sporting panel show They Think It's All Over after the event. In October 2013, he again hit the headlines, this time after a top of the table clash against QPR, when he was sent off and 'jailed' after he jokingly offered the assistant referee a pair of glasses. Burnley have played their home games at Turf Moor since 1883, after playing at its original ground at Calder Vale for less than a year. Turf Moor is the longest continuously used ground of any of the 49 teams which have played in the Premier League and the second oldest continually used site for professional league football in the world, behind Preston's Deepdale. The stadium is located on Harry Potts Way, named in honour of the club's longest serving manager. In October 1886, Turf Moor welcomed the first-ever visit by a member of the Royal Family to a first-class association football match at a senior ground, when Queen Victoria's grandson, Prince Albert Victor, was in attendance for a match between Burnley and Bolton Wanderers. In 1888, the first Football League match at Turf Moor was an encounter against the same opposition, Bolton, with Burnley emerging as 4–1 winners, Fred Poland scoring the first competitive league goal at the stadium. In 1922, the ground hosted its only FA Cup semi-final to date, between Huddersfield Town and Notts County, and five years later it hosted its only senior international match, between England and Wales for the British Home Championship. The Turf Moor site was first used for sport in 1833, when Burnley Cricket Club was established. Fifty years later, they invited Burnley Football Club to move from their original premises at Calder Vale to a pitch adjacent to the cricket field. The ground originally consisted of just a pitch and the first grandstand was not built until 1885. It now consists of 4 stands, the James Hargreaves Stand (The Longside), the Jimmy McIlroy Stand (Bee Hole End), the Bob Lord Stand and the Ladbrokes Stand (The Cricket Field Stand) for home and away fans. The current capacity is 21,944 all-seated. Post-World War I crowds in the stadium averaged in the 30,000–40,000 range with the record attendance set in 1924 against Huddersfield Town in a FA Cup match when 54,755 attended the match. On 23 February 1960, in a fifth round FA Cup replay against Bradford City, there was an official reported attendance of 52,850 at the Turf. Some of the gates were, however, broken down and many uncounted fans poured into the ground. Many supporters were also locked out, and the road from Bradford over the Moss at Colne had to be closed to traffic. Until 1974, The Turf had a slight slope in the field, when chairman Bob Lord made a resolution to relay the pitch and to remove the slope. During the 1990s, the ground underwent further refurbishment when The Longside and Bee Hole End terraces were replaced by all-seater stands as a result of the Taylor Report, reducing the capacity in the process. In 2008, plans were made to extend the stadium to a capacity of around 28,000. This capacity increase would include a second tier attached to the Bob Lord stand, along with a complete re-development of the stand. In addition, a new stand was planned to replace the Cricket Field Stand, which would also hold a cricket pavilion and hotel. In late 2008, these plans were put on hold as general economic conditions worsened in the UK. At the end of 2017, Burnley finalised plans to develop two corners of the stadium (between the Jimmy McIlroy stand and both the James Hargreaves and Bob Lord stands) to provide better facilities for disabled supporters to meet the Accessible Stadium Guide (ASG) regulations. The plans took the spending on infrastructure at the club to around £20m in two years, including a bigger club shop and ticket office at the stadium, and a major uplift to their training centre. Burnley is one of the best supported clubs in English football per head of population, with average attendances of 20,000 in the Premier League in a town with approximately 73,000 inhabitants. In the championship winning year of 1959–60, the fan-ratio of Burnley was twice the top flight average. Although as well as having a loyal, local fan base, the Clarets also have numerous supporters' clubs across the United Kingdom and overseas, with supporters' clubs in Australia, Canada, Finland, Nigeria, Poland, Republic of Ireland, Spain, Thailand, and United States amongst others. When falling down to the lower leagues and the simultaneously growing presence of hooliganism in English football in the 1980s, a hooligan firm linked to Burnley was established, called the "Suicide Squad", which became infamous for violently clashing with many other firms and fans in the country. They also featured in the television documentary series The Real Football Factories presented by Danny Dyer. The squad officially disbanded in 2009 after a high-profile incident with supporters of Blackburn Rovers, in which afterwards twelve members of the Suicide Squad were sentenced to jail for a total of 32 years. Notable fans over the years have included football coach Jimmy Hogan, Prime Minister Edward Heath, Charles, Prince of Wales, journalist Alastair Campbell, Superbike world champion Neil Hodgson, BBC Radio 1 DJ Jordan North and cricketer James Anderson. In an unofficial Football Rivalry Survey from 2012–13, Burnley were listed 7th out of a list of 92 respective Football League clubs with the most rivals, with Blackburn Rovers considering Burnley to be their main rival and Bolton Wanderers, Morecambe and Rochdale considering them their second main rival. Reciprocally, Burnley considers their biggest rivalry to be with Blackburn. Games between them are known as the East Lancashire Derby, named after the region both clubs hail from, and it is known as one of the longest standing derbies in world football, as both clubs are founder members of the Football League and have won the First Division and the FA Cup. The two clubs are separated by fourteen miles (22.5 kilometres) and besides the geographical proximity, the clubs have a long-standing history of fierce rivalry too; their first competitive clash being a Football League match in 1888, in the inaugural season of the competition. Four years earlier, however, they had met for the first time, although in an alleged pre-league friendly, with considerable pride at stake. Including the pre-league friendlies, there have been 113 matches played between both, with Burnley having the slightly better head-to-head record of the two teams, the Clarets winning 48 games and Blackburn 45. Burnley's closest geographic rival is actually Accrington Stanley but, as they have never competed at the same level (although defunct club Accrington did), there is no rivalry between both. Other rivalries exist with local clubs Bolton Wanderers, Blackpool and Preston North End. Burnley have regularly played them in the league and cup competitions and the encounter between Burnley and Preston is, as of 2018–19, the most frequently played match in both club's histories. The Clarets also contested heated matches with Halifax Town, Plymouth Argyle and Stockport County in the 1990s, when they were playing in the lower leagues, although feelings of animosity were mainly one-sided. Burnley will be the only club from the ceremonial county of Lancashire in the top flight during the 2018–19 season, as they were in the previous two seasons. Their most local rivals will be West Yorkshire side Huddersfield Town, who are based 25 miles (40 kilometres) away from Turf Moor. Jerry Dawson, Burnley's current record holder for the highest number of league appearances. The holder of the record for the most appearances in all competitions for Burnley is goalkeeper Jerry Dawson, having made 569 first team appearances between 1907 and 1928. The club's top goal scorer is George Beel, who scored 187 goals from 1923 to 1932. He also holds the record for the most league goals scored in a season, 35 in the 1927–28 season in the Football League First Division. Bert Freeman has scored the most goals in all official, competitive competitions in a single season, scoring 36 goals in the Football League Second Division and FA Cup in 1912–13. As of August 2018, Jimmy McIlroy is the most capped player while playing at Burnley, making 51 appearances for Northern Ireland between 1951 and 1962. The first Burnley player to be capped was forward John Yates, who took to the field for England against Ireland at Anfield on 2 March 1889. He scored a hat-trick, but despite this, he was never called up again. The club's largest win in league football has been a 9–0 victory over Darwen in the First Division in 1891–92. Burnley's largest victories in the FA Cup have been 9–0 wins over Crystal Palace (1908–09), New Brighton (1956–57) and Penrith (1984–85). The club's record defeat is an 11–0 loss to Darwen Old Wanderers in the FA Cup first round in the 1885–86 season. Burnley's record home attendance is 54,775 for a third round FA Cup match against Huddersfield Town on 23 February 1924. With the introduction of regulations enforcing all-seater stadiums, it is unlikely that this record will be beaten in the foreseeable future. Their longest ever unbeaten run in the league was between 6 September 1920 and 25 March 1921, to which they remained unbeaten for 30 games on their way to the First Division title. It stood as the longest stretch without defeat in a single season in Football League history until Arsenal bettered it in 2003–04. The highest transfer fee received for a Burnley player is £25 million, from Everton for defender Michael Keane in July 2017, while the highest transfer fee paid by the club to date was both for forward Chris Wood from Leeds United in August 2017 and for defender Ben Gibson from Middlesbrough in August 2018, the pair were reported to be bought for a fee of £15 million each. When forward Bob Kelly moved from Burnley to Sunderland for £6,550 in 1925, he broke the world football transfer record. As of the 2018–19 season, Burnley have played 120 seasons in English league football. 56 of these have been spent in the first tier (1) (most recently in 2018–19), 46 in the second (2) (most recently in 2015–16), eleven in the third (3) (most recently in 1999–2000) and seven in the fourth (4) (most recently in 1991–92). A. ^ Up until 1992, the top division of English football was the Football League First Division. The Premier League took over from the First Division as the top tier of the English football league system upon its formation in 1992. The First Division then became the second tier of English football, the Second Division became the third tier, and so on. The First Division is now known as the Football League Championship, while the Second Division is now known as Football League One. B. ^ Win% is rounded to two decimal places. ^ "Burnley Football Club On This Day: May 18". Retrieved 25 December 2017. ^ a b Wiseman, David (2009). The Burnley FC Miscellany. DB Publishing. ISBN 9781780911045. ^ "Turf Moor". memim.com. Retrieved 24 January 2018. ^ a b c d Smith, Mike. The Road to Glory: Burnley's FA Cup Triumph in 1914. Grosvenor House Publishing Limited, 2014. ^ Fiszman, Marc; Peters, Mark (2005). Kick Off Championship 2005–06. Sidan Press. p. 15. 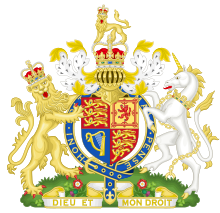 ^ "England 1888–89". Rec.Sport.Soccer Statistics Foundation. Retrieved 2 July 2018. ^ When Saturday Comes: The Half Decent Football Book. p 134. ^ Simpson, Ray (2007). The Clarets Chronicles: The Definitive History of Burnley Football Club 1882–2007. Burnley F.C. pp. 34–37. ISBN 9780955746802. ^ Ward, Andrew (2016). Football's Strangest Matches: Extraordinary but True Stories from Over a Century of Football. Portico. ISBN 9781910232866. ^ Dart, James; Bandini, Paolo (9 August 2006). "The earliest recorded case of match-fixing". the Guardian. Retrieved 25 January 2018. ^ a b c d e f g h "Burnley – Historical Football Kits". www.historicalkits.co.uk. Retrieved 24 January 2018. ^ a b "100 Years of Claret and Blue – Part 1 – Clarets Mad". www.clarets-mad.co.uk. Retrieved 24 July 2018. ^ "England 1911/12". www.rsssf.com. Retrieved 24 January 2018. ^ "Burnley defeat Liverpool in FA Cup Final | Century Ireland". www.rte.ie. Retrieved 24 January 2018. ^ Simpson, Ray (28 April 2014). "Families of Burnley's 1914 heroes join in the Turf Moor celebrations". Burnley Football Club. ^ "Burnley player's 1914 FA Cup medal up for grabs". Lancashire Telegraph. ^ "England 1920–21". Rec.Sport.Soccer Statistics Foundation. Archived from the original on 5 February 2010. Retrieved 2 July 2018. ^ "Burnley News & Players | The Clarets | Give Me Football". 1 January 2011. Retrieved 14 May 2018. ^ "England 1929/30". www.rsssf.com. Retrieved 24 January 2018. ^ "Obituary: Tommy Lawton". The Independent. 7 November 1996. Retrieved 26 January 2018. ^ "No 17: 1947 FA Cup final". Lancashire Telegraph. Retrieved 26 January 2018. ^ a b "The Khrushchev of Burnley". 20 December 2015. Archived from the original on 25 January 2018. Retrieved 24 January 2018. ^ a b "Great Reputations: Burnley 1959–60 – a good year for claret". Game of the People. Retrieved 17 October 2015. ^ "Jimmy Robson talks about winning the title and playing in Europe". Mail Online. Retrieved 24 January 2018. ^ Hopcraft, Arthur (2013). The Football Man: People & Passions in Soccer. Aurum Press Ltd. ISBN 978-1781311516. ^ "John Connelly life story: Part 1". Lancashire Telegraph. Retrieved 25 January 2018. ^ a b c d Quelch, Tim (2015). Never Had it So Good: Burnley's Incredible 1959/60 League Title Triumph. Pitch Publishing. ISBN 9781848186002. ^ LTD, Digital Sports Group. "Midweek Clarets' Legends - This Week it's Harry Potts". sport.co.uk. Retrieved 25 January 2018. ^ Jackson, Stuart. "Alan Brown". The Sheffield Wednesday Archive. Retrieved 3 March 2008. ^ Turner, Georgina (24 September 2013). "Was Jesse Lingard's debut for Birmingham the most prolific ever? | The Knowledge". the Guardian. Retrieved 26 January 2018. ^ "Burnley v New Brighton, 26 January 1957". 11v11.com. Retrieved 26 January 2018. ^ a b "Burnley, Total Football and the pioneering title win of 1959/60". These Football Times. 27 February 2018. Retrieved 10 June 2018. ^ "Obituary: Harry Potts". The Independent. 22 January 1996. Retrieved 10 June 2018. ^ Murray, Scott (2017). The Title: The Story of the First Division. Bloomsbury Sport. ISBN 978-1472936615. ^ "'We weren't jumping around, we'd only won the league' – Burnley legend on the day the Clarets were crowned Kings of England". Lancashire Telegraph. Retrieved 26 January 2018. ^ "Manchester City v Burnley – The Championship, 2nd May 1960 – Clarets Mad". www.clarets-mad.co.uk. Retrieved 14 May 2018. ^ "The Forgotten Giants of Turf Moor – The Daisy Cutter". The Daisy Cutter. 9 August 2013. Retrieved 26 January 2018. ^ "David and Goliath and Burnley". NBC SportsWorld. 14 October 2014. Retrieved 25 January 2018. ^ uefa.com. "UEFA Champions League 1960/61 - History - Burnley – UEFA.com". UEFA.com. Retrieved 26 January 2018. ^ "Burnley match record: 1962". www.11v11.com. Retrieved 25 January 2018. ^ Association, The Football. "Robson recalls historic Cup Final goal and Spurs rivalry". The Football Association. Retrieved 25 December 2017. ^ a b "Burnley legend Jimmy Adamson dies at 82". BBC Sport. 8 November 2011. Retrieved 25 December 2017. ^ "International Honours Board Update". Burnley Football Club. 26 May 2017. Retrieved 16 August 2018. ^ "FA wanted Clarets legend Jimmy Adamson before Alf Ramsey". The Sun. 9 November 2011. Retrieved 26 January 2018. ^ "EFL Official Website Fifty-five years to the day: £20 maximum wage cap abolished by Football League clubs". Retrieved 26 January 2018. ^ a b "English League Leading Goalscorers". www.rsssf.com. Retrieved 4 February 2018. ^ "Burnley v Eintracht Frankfurt, 18 April 1967". 11v11.com. Retrieved 26 January 2018. ^ a b "Jimmy Adamson: Footballer and manager who led Burnley to their greatest successes". The Independent. 10 November 2011. Retrieved 26 January 2018. ^ "England – List of FA Charity/Community Shield Matches". www.rsssf.com. Retrieved 26 January 2018. ^ Struthers, Greg (2 May 2004). "Caught in Time: Burnley return to the First Division, 1973 74". The Sunday Times. ISSN 0956-1382. Retrieved 26 January 2018. ^ "Cup magic back in Wimbledon". 7 November 2008. Retrieved 26 January 2018. ^ Glanville, Brian (17 May 2007). "Obituary: Brian Miller". the Guardian. Retrieved 26 January 2018. ^ "1981–82 Season Final Football Tables". www.englishfootballleaguetables.co.uk. Retrieved 26 January 2018. ^ "A blind man on a galloping horse...: Classic Match Report: Liverpool 3 Burnley 0, 1983 League Cup Semi Final 1st Leg". Blindmangallopinghorse.blogspot.com. 11 June 2011. Retrieved 23 July 2012. ^ "Burnley Manager History | Past & Present | Soccer Base". www.soccerbase.com. Retrieved 26 January 2018. ^ Quelch, Tim (2017). From Orient to the Emirates: The Plucky Rise of Burnley FC. Pitch Publishing Ltd. ISBN 9781785313127. ^ Belam, Martin (24 April 2017). "So you've been relegated from League Two. What happens next? | Martin Belam". the Guardian. Retrieved 26 January 2018. ^ Whalley, Mike. "When Saturday Comes – The Colne Dynamoes debacle". www.wsc.co.uk. Retrieved 26 January 2018. ^ "The match that lasted a lifetime". www.burnleyexpress.net. Retrieved 26 January 2018. ^ "'The Orient Game'". TheLongside.co.uk. Retrieved 14 May 2018. ^ "Sherpa final a turning point in Burnley's history". Lancashire Telegraph. Retrieved 26 January 2018. ^ "Martin Tyler's stats: Most own goals, fewest different scorers in a season". Sky Sports. Retrieved 15 August 2018. ^ Metcalf, Rupert (30 May 1994). "Football Play-Offs: County fall short as Burnley go up: Parkinson". The Independent. Retrieved 24 July 2018. ^ Walker, Michael (29 December 2001). "The Saturday Interview: Ternent close to matching the great Clarets". the Guardian. Retrieved 26 January 2018. ^ Association, Press (3 June 2004). "Cotterill lands Burnley job". the Guardian. Retrieved 26 January 2018. ^ "Ade Akinbiyi: Coyle was able to lift everyone when he took the Clarets up". Lancashire Telegraph. Retrieved 26 January 2018. ^ "Burnley announce appointment of Owen Coyle as their new manager". The Guardian. 22 November 2007. Retrieved 26 January 2018. ^ "Wolves, Birmingham and Burnley – Club Profiles | Sportige". sportige.com. Retrieved 26 January 2018. ^ "Burnley 1–0 Sheff Utd". BBC Sport. 25 September 2009. Retrieved 25 September 2009. ^ Cross, Jeremy (3 December 2008). "Carling Cup: Arsene Wenger fumes as Burnley turf out Arsenal". The Guardian. Retrieved 24 July 2018. ^ "Do away goals count in the Capital One Cup semi-final?". The Independent. Retrieved 24 July 2018. ^ "Burnley 3–2 Tottenham (agg 4–6)". 21 January 2009. Retrieved 24 July 2018. ^ Smith, Rory (9 August 2017). "When the Premier League Puts Your Town on the Map". The New York Times. Retrieved 23 December 2017. ^ "Bournemouth: The minnows who made the Premier League". BBC Sport. 28 April 2015. Retrieved 23 December 2017. ^ "Burnley wins place in Premiership". Retrieved 23 December 2017. ^ "Coyle Hails Best Win Yet". 6 October 2009. Retrieved 24 July 2018. ^ Lovejoy, Joe (25 April 2010). "Liverpool seal Burnley's relegation on back of Steven Gerrard double". The Guardian. London. Retrieved 26 April 2010. ^ Club Statement: Eddie Howe Archived 17 January 2011 at the Wayback Machine. Burnley F.C..com. Retrieved 25 August 2011. ^ "Eddie Howe: Bournemouth agree deal with Burnley for manager". BBC Sport. 12 October 2012. Retrieved 26 January 2018. ^ "Burnley: Sean Dyche named as new manager at Turf Moor". BBC Sport. 30 October 2012. Retrieved 26 January 2018. ^ "Sean Dyche's five years at Burnley". Sky Sports. Retrieved 15 August 2018. ^ "Danny Ings agrees move to Liverpool". Burnley Express. Retrieved 15 August 2018. ^ "Burnley 2–0 Wigan Athletic". BBC Sport. 21 April 2014. Retrieved 15 August 2018. ^ "Sean Dyche praises Andre Gray ahead of Turf Moor return". Mail Online. Retrieved 26 January 2018. ^ "Burnley's safety is confirmed as Hull City lose at Crystal Palace". Lancashire Telegraph. Retrieved 26 January 2018. ^ "Chelsea 2–3 Burnley". BBC Sport. 12 August 2017. ^ "Burnley 1–1 Manchester City". BBC Sport. 3 February 2018. ^ "Burnley secure European football for first time in 51 years". BBC Sport. 5 May 2018. Retrieved 13 May 2018. ^ "Burnley 1–1 Olympiakos (2–4 on agg)". BBC Sport. 30 August 2018. Retrieved 31 August 2018. ^ "First team". Burnley F.C. Retrieved 26 January 2019. ^ "Ashley Barnes Austrian call up denied". Sky Sports. Retrieved 4 April 2019. ^ "Ashley Barnes Austrian dream over". 101greatgoals via Austrian Council Minister for Sport. Retrieved 4 April 2019. ^ Lynch, Tony (1995). The Official P.F.A. Footballers Heroes. Random House. ISBN 9780091791353. ^ "Burnley – 29 Players (91 Caps)". englandstats.com. Retrieved 15 August 2018. ^ "About the Football Hall Of Fame". National Football Museum. Retrieved 15 August 2018. ^ "Legends list in full". news.bbc.co.uk. Retrieved 15 August 2018. ^ Smith, Martin (19 December 2007). "Best footballers: Shearer a hero on two fronts". The Telegraph. Retrieved 15 August 2018. ^ "Greatest Burnley FC players honoured at Turf Moor". Lancashire Telegraph. Retrieved 15 August 2018. ^ "Our Turf Moor Heroes Launches". UpTheClarets. 24 January 2017. Retrieved 15 August 2018. ^ Clayton, David (2014). Burnley FC Miscellany: Everything you ever needed to know about The Clarets. ISBN 9781445642239. ^ "Burnley Manager Statistics". www.managerstats.co.uk. Retrieved 15 August 2018. ^ "Burnley's secret and a choppy helicopter ride with Neville and Giggs". Mail Online. Retrieved 16 August 2018. ^ "Clarets win kit award". Lancashire Telegraph. Retrieved 26 January 2018. ^ "The Championship 2007–2008 – Historical Football Kits". www.historicalkits.co.uk. Retrieved 26 January 2018. ^ "Burnley sign new Puma kit deal". Lancashire Telegraph. 21 January 2010. Retrieved 8 August 2018. ^ "Burnley announce 'record-breaking' shirt sponsor deal". Retrieved 24 July 2018. ^ LTD, Digital Sports Group. "Ask Clarets Mad Answers 7 – Clarets Mad". www.clarets-mad.co.uk. Retrieved 19 June 2018. ^ a b "Burnley's badge is the best in the Premier League". SBNation.com. Retrieved 19 June 2018. ^ "Video: Film shows day in the life of Clarets mascot Bertie Bee". Lancashire Telegraph. Retrieved 15 August 2018. ^ "VIDEO: Bertie Bee – how rugby tackling a streaker changed my career". www.burnleyexpress.net. Retrieved 26 January 2018. ^ Richards, Alex (26 October 2013). "Burnley mascot sent off and 'jailed' after offering official his glasses". mirror. Retrieved 26 January 2018. ^ "Turf Moor". Premier League. Retrieved 16 June 2018. ^ Burden, Brian; Morse, Blair (2018). The Sports Tourists' Guide to the English Premier League. BookBaby. ISBN 978-1543919554. ^ "Burnley football club overview". www.11v11.com. Retrieved 5 May 2018. ^ "Burnley FC". www.footballhistory.org. Retrieved 16 June 2018. ^ "Burnley chairman: I'd love to buy back the Turf Moor". Lancashire Telegraph. 27 November 2009. ^ Simpson, Ray (5 December 2017). "The Story Of The Dr Dean Trophy". Burnley Football Club. ^ Metcalf, Mark (2013). The Origins of the Football League: The First Season 1888/89. Amberley Publishing. ISBN 978-1445618814. ^ "England 1–2 Wales, British Home Championship". englandstats.com. Retrieved 16 June 2018. ^ a b Burden, Brian; Morse, Blair (2018). The Sports Tourists' Guide to the English Premier League. BookBaby. ISBN 978-1543919554. ^ a b "Turf Moor". Football Stadiums. Retrieved 16 June 2018. ^ "Turf Moor Burnley FC, Info & Map | Premier League". www.premierleague.com. Retrieved 25 January 2018. ^ "The Turf Moor Story | Burnley | Club | History | History". 9 March 2008. Archived from the original on 9 March 2008. Retrieved 25 January 2018. ^ "1959/60 Series: Bradford City (FA Cup) (H)". The Longside. Retrieved 2 April 2019. ^ Smith, Rory (26 May 2009). "10 things you probably didn't know about Burnley". ISSN 0307-1235. Retrieved 25 January 2018. ^ "A Drop of Claret | Pitchcare". www.pitchcare.com. Retrieved 25 January 2018. ^ "Burnley Football Club Disabled Fans To Get New Facilities In Turf Moor Facelift". Retrieved 25 January 2018. ^ "Burnley chief Mike Garlick has acquired a taste for keeping the Prem League battlers in rude health". The Sun. 12 February 2017. Retrieved 25 December 2017. ^ a b "EFS English Clubs". www.european-football-statistics.co.uk. Retrieved 29 January 2018. ^ "Burnley Football Club – Supporters Clubs". www.burnleyfootballclub.com. Retrieved 16 August 2018. ^ "Club Finder". www.myburnleyfc.com. Retrieved 16 August 2018. ^ Porter, Andrew (2005). Suicide Squad: The Inside Story of a Football Firm. Milo Books. ISBN 9781903854464. ^ "Thugs jailed over football gang fight". The Sun. 19 January 2011. Retrieved 4 February 2018. ^ "Burnley 'Suicide Squad' hooligans jailed for 32 years". Lancashire Telegraph. Retrieved 4 February 2018. ^ "The Jimmy Hogan Story". Retrieved 16 August 2018. ^ "'Closet Claret': Prince Charles admits to being a Burnley FC Fan". Mail Online. Retrieved 16 August 2018. ^ "Profile". www.neilhodgson100.com. Retrieved 16 August 2018. ^ "Radio 1 slot for talented Burnley DJ". www.burnleyexpress.net. Retrieved 1 February 2019. ^ "Who is Burnley FC's biggest fan?". Clitheroe Advertiser and Times. Retrieved 16 August 2018. ^ a b "2012–13 Football Rivalry Survey Results". The Chris Whiting Show. 28 August 2012. Retrieved 25 January 2018. ^ "More Than A Game: Blackburn vs Burnley". FourFourTwo. 1 May 2005. Retrieved 23 December 2017. ^ "Football Rivalries: The Survey – The Daisy Cutter". The Daisy Cutter. 14 September 2012. Retrieved 23 December 2017. ^ a b "Burnley football club: record v Blackburn Rovers". www.11v11.com. Retrieved 16 August 2018. ^ a b "History of the Blackburn Rovers v Burnley derby: part one". Lancashire Telegraph. Retrieved 16 August 2018. ^ "Burnley football club: record v Preston North End". www.11v11.com. Retrieved 16 August 2018. ^ "Wayback Machine" (PDF). 3 February 2004. Archived from the original (PDF) on 3 February 2004. Retrieved 25 January 2018. ^ Small, Gordon (2007). The Lancashire Cup: A Complete Record of the Lancashire FA Senior Cup 1879–80 to 2006–07. Tony Brown. ^ "Burnley football club honours". www.11v11.com. Retrieved 26 January 2018. ^ "The Football Ground – Burnley Honours". www.thefootballground.com. Retrieved 26 January 2018. ^ "Plaque to be created to honour Claret goalkeeping legend". Lancashire Telegraph. Retrieved 11 August 2018. ^ a b "All Time Burnley Records & Achievements". www.soccerbase.com. Retrieved 11 August 2018. ^ "England Players – Jack Yates". www.englandfootballonline.com. Retrieved 11 August 2018. ^ a b "Burnley scoring and sequence records". Statto.com. 15 March 2017. Retrieved 11 August 2018. ^ "The Turf Moor Story". 9 March 2008. Retrieved 11 August 2018. ^ Smith, Rory (26 May 2009). "10 things you probably didn't know about Burnley". Retrieved 11 August 2018. ^ "Keane desperate to face Clarets". Burnley Express. Retrieved 11 August 2018. ^ "Ben Gibson: Burnley sign Middlesbrough centre-back for joint club record fee". BBC Sport. 5 August 2018. Retrieved 11 August 2018. ^ "Evolution of world record transfers since 1893". Reuters. 9 August 2016. Retrieved 11 August 2018. Bird, Philip (2018). Burnley FC On This Day: History, Facts & Figures from Every Day of the Year. Pitch Publishing Ltd. ISBN 978-1785314254. Clayton, David (2014). Burnley FC Miscellany: Everything you ever needed to know about The Clarets. Amberley Publishing. ISBN 978-1445642239. Hayes, Dean (1999). Burnley FC: An A-Z. Sigma Leisure. ISBN 978-1850586807. Hopcraft, Arthur (1968). The Football Man. Aurum. ISBN 1-84513-141-X. Inglis, Simon (1987). The Football Grounds of Great Britain (2nd ed.). Collins Willow. ISBN 0-00-218249-1. Inglis, Simon (1988). League Football and the Men Who Made It. Willow Books. ISBN 0-00-218242-4. Lee, Edward; Simpson, Ray (1991). Burnley: A Complete Record, 1882-1991. Breedon Books Publishing Co Ltd. ISBN 978-0907969907. Lee, Edward; Whalley, Phil (2002). The Pride and Glory: 120 Years of Burnley Football Club. Burnley Football Club. ASIN B003GE002K. Potts, Margaret; Thomas, Dave (2006). Harry Potts: Margaret's Story. Sportsbooks. ISBN 978-1899807413. Prestage, Mike (2000). Burnley: The Glory Years Remembered. Breedon Books Publishing Co Ltd. ISBN 978-1859832004. Quelch, Tim (2015). Never Had It So Good: Burnley's Incredible 1959/60 League Title Triumph. Pitch Publishing Ltd. ISBN 978-1909626546. Simpson, Ray (1996). The Clarets Collection 1946-1996: A Post war who's who of Burnley Football Club. Burnley Football Club. ISBN 978-0952179900. Simpson, Ray (2007). The Clarets Chronicles: The Definitive History of Burnley Football Club 1882-2007. Burnley Football Club. ISBN 978-0955746802. Smith, Mike (2014). The Road to Glory: Burnley's FA Cup Triumph in 1914. Grosvenor House Publishing Limited. ISBN 978-1781486900. Thomas, Dave (2004). No Nay Never: a Burnley FC Anthology. Dave Thomas. ASIN B003NMMT6U. Thomas, Dave (2009). Jimmy Mac: Prince of Inside Forwards, a Biography. Hudson & Pearson Ltd. ISBN 978-0955401749. Thomas, Dave (2017). Mud Sweat and Shears: Tales from the Turf - Life as a Football League Groundsman. Pitch Publishing Ltd. ISBN 978-1785312946. Thomas, Dave (2018). The Best of Burnley: A Burnley FC Anthology. Vertical Editions. ISBN 978-1908847096. Thomas, Dave (2018). Jimmy Adamson: The Man Who Said No to England. Pitch Publishing Ltd. ISBN 978-1785314032. Wiseman, David (1973). Up the Clarets: Story of Burnley Football Club. Robert Hale Ltd. ISBN 978-0709143109. Wiseman, David (2012). The Burnley FC Miscellany. DB Publishing. ISBN 978-1780911045. Wikimedia Commons has media related to Burnley F.C..